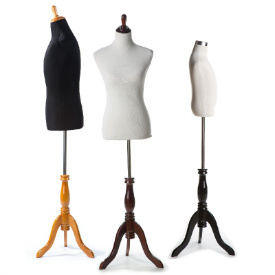 Complete your clothing display with one of our high quality tabletop mannequin torsos. measurements - bust: 35", waist 28" and hips 32". The shoulder to shoulder is 20" and the overall height of the torso is 24". 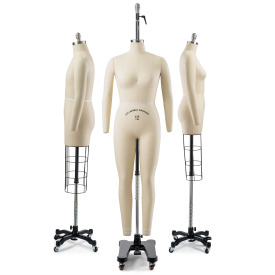 tabletop mannequin - perfect for product dressing and adorning your apparel table. torso comprised of high quality heavy plastic polyethylene making it pretty resistant to damage. full width - fully sculpted from all sides. The interior is hollow. lightweight, yet sturdy enough to stand on its own. Masterly crafted from highly durable plastic, this tabletop mannequin torso adds the perfect touch to your apparel counter. Mannequin torsos such as this one are commonly used by clothing stores to demonstrate how their clothes will look and fit when actually worn. 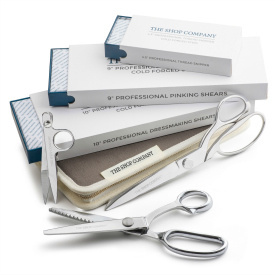 Seeing this display is often an important deciding factor for customers. Besides, they also add a nice aesthetic touch to the otherwise basic array of folded clothes that generally cover store's clothing tables. The high quality plastic used makes them pretty damage resistant so you do not have to worry about them getting knocked over. Purchase this torso and give your clothes the publicity they deserve.